What Changes Can Be Expected With the New Standard HTTP 2.0? This HTTP 2.0 is the next major release of HTTP Protocol used by WWW. It is certain that the Web will change and prove is the advent of HTTP 2.0 that is emerging more and more like a real standard. HTTP 2.0 is expected to come into operation in next November and should hold some important news, that is beyond and should be taken into serious consideration. HTTP 2.0 is definitely an improvement for the performance of the protocol with the inclusion of technologies such as multiplexing and header compression. These two changes can not be assessed simply as update to the HTTP protocol that currently exists, as it introduced the performance improvements as absolute important, especially for devices that connect to the Web via the mobile network. The header compression, for example, minimizes the need for bandwidth to transport the HTTP header, while with the activation of multiplexing, the client side allows to benefit from a connection without the need of having to renegotiate each time. These positive aspects are not the only the changes those ill be implemented with HTTP 2.0. In fact, the new protocol also introduces a further aspect of security, forcing the use of SSL secured connections. SSL will become mandatory and if on the one hand, this aspect improves the security of data in transit; on the other hand, reasoning in terms of data center, introduces the difficulties of no small importance. From a point of view of the management of servers, in fact, the mandatory use of SSL or TLS makes some diagnostic applications designed to analyze in real time traffic data ineffective. The restriction on the visibility of web traffic introduced with HTTP 2.0, therefore, is likely to protect data even benevolent by the action of some basic services such as performance monitoring, IDS, IPS, DLP, Web acceleration, and any Another useful service to the improvement of traffic conditions based on analysis of data in transit. The benefits of protection introduced by the mandatory SSL then collide with the need to make some changes to the network architecture to allow any case to the security services, monitoring and acceleration to continue to function properly, without imposing each service the need to work on decrypting and encrypting of data in continuous manner, with the consequence of having to then honor important computational loads. While the current operating conditions moving to a mandatory use of SSL can cause problems of no small importance as those discussed thus far. On the other hand, a non-secure HTTP means to bear all the risks and consequences that result can from this choice. HTTP 2.0 want to move to a safe service for all, both for individuals and for the organizations that need to pass sensitive data on the Web. This Article Has Been Shared 9561 Times! 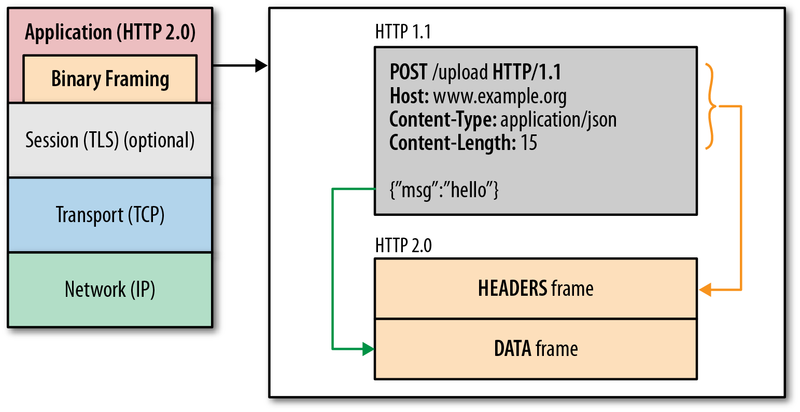 Cite this article as: Abhishek Ghosh, "HTTP 2.0 : What Changes Are Expected With the New Standard," in The Customize Windows, July 22, 2014, April 18, 2019, https://thecustomizewindows.com/2014/07/http-2-0-changes-expected-new-standard/.